Developing and coordinating the policies and programs of the state’s transportation entities to achieve California’s mobility, safety and air quality objectives. Sacramento – Continuing progress toward operation of fully autonomous vehicles on California roads, the California Department of Motor Vehicles (DMV) released revised draft regulations for public comment. These draft rules are intended to encourage public dialogue and gather input prior to the DMV formally submitting the regulations for consideration and adoption. 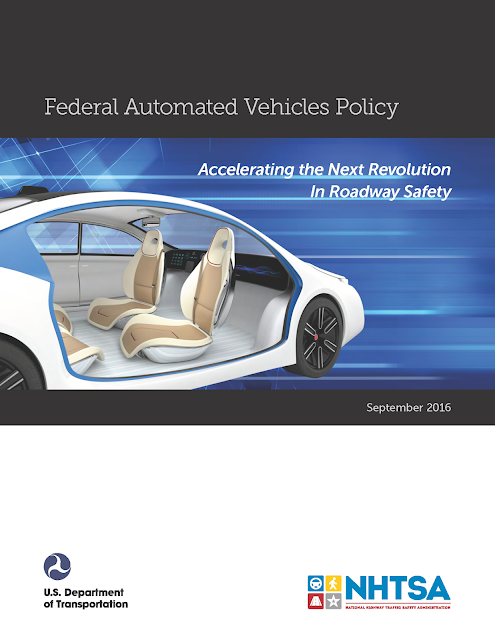 The recently released Federal Automated Vehicles Policy sets a direction for addressing vehicle safety at the federal level, and California’s revised draft regulations take this new policy into account and focus on rules for California public roads, including testing requirements, enforcement of traffic laws, driver licensing, and vehicle registration. In addition to carefully reviewing all public feedback on previous draft regulations, the DMV actively collaborated with the National Highway Traffic Safety Administration (NHTSA) and the American Association of Motor Vehicle Administrators on the state’s role in regulating autonomous vehicles. Prior to testing or deploying an autonomous vehicle, manufactures will certify that they meet NHTSA vehicle performance guidance for automated vehicles, which uses a 15-point safety assessment. A regulatory framework for driverless vehicles that provides a path for fully autonomous vehicles to first be tested and operated on California roads. Prohibits the advertisement of lower levels of automated systems, where the human driver is still responsible for monitoring or control of the vehicle, as “autonomous”, “self-driving” or other similar terms. These revised draft regulations represent the next step in the process to encourage public dialogue and collect feedback prior to the DMV formally submitting the regulations for consideration and adoption. To gather additional public input on the proposed changes, the Department is holding a public workshop Wednesday, October 19 in Sacramento. In addition, representatives from NHTSA will discuss the recently released Federal Automated Vehicles Policy. The DMV invites all interested parties to attend the upcoming public workshop. Written comments may be submitted to: LADRegulations@dmv.ca.gov. The event will also be open to credentialed media. The revised draft autonomous vehicle deployment regulations and workshop notice are available on the DMV Autonomous Vehicles webpage at: http://www.dmv.ca.gov/portal/dmv/detail/vr/autonomous/auto.